Janet “Jan” Lane, 78, formerly of Sioux Falls, SD, passed away peacefully on February 26, 2017 in Hopkins, MN. Her niece, Nancy, was at her side. Janet was born on April 15,1938, in Sioux Falls, SD, the daughter of Serena (Wiley) and Laurence Lane. She graduated from Washington High School in 1956 and attended Mount Marty college in Yankton, SD, where she earned her teaching degree. Jan started her career teaching at Christ the King school in Sioux Falls. On vacation in California after her second year she accepted a teaching position in San Francisco's China Town. She returned to Sioux Falls to teach Social Studies at Edison Middle School, where she retired. She was passionate about students’ reading ability, so much so she earned her Master’s +90 from Sioux Falls College in Reading Literacy. Jan was active in her community. She delivered food for Meals On Wheels, read aloud to residents of a nearby nursing home and tutored many children and adults in English literacy. 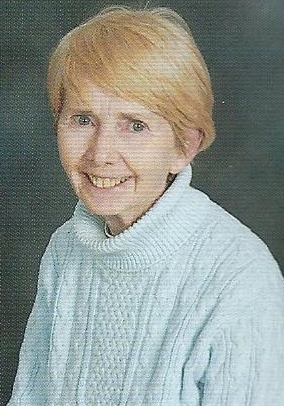 Jan was a prominent participant at Christ the King Catholic parish as sacristan, reader, Eucharistic minister, and educator. Jan is survived by her son: Christian, his wife Jeannette; grandchildren: Katy and Ike; sister: Lola Cuzpka; brother: Lee Lane: many nieces, nephews, and extended family. She was preceded in death by her parents, two sisters and a brother. Because of a change in her health, she relocated from Sioux Falls to the Minneapolis, MN area to be closer to family. In lieu of flowers, donations my be directed to Christ the King Church or the Sioux Falls Food Pantry. Visitation will be Saturday May 27, 9:00 AM at Christ the King Catholic Church with a Mass of Christian Burial at 10:00 AM.